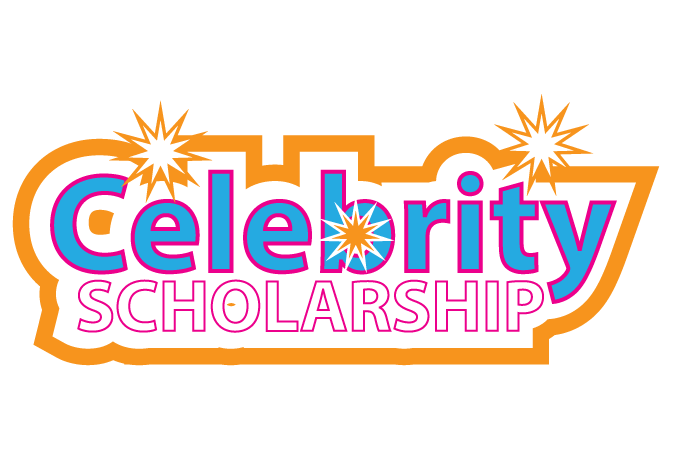 Scholarship Application Services LLC (“Celebrity Scholarships” or “CS”) is pleased to offer the Celebrity Scholarships Contest (“Contest”), a contest based on skill and ability. YOU UNDERSTAND THAT ANY VIOLATION OF THESE RULES MAY RESULT IN YOUR DISQUALIFICATION FROM THE CONTEST. ALL OF CS’S DECISIONS REGARDING THE CONTEST, INCLUDING WITHOUT LIMITATION THE SELECTION OF THE WINNER, SHALL BE FINAL AND BINDING IN ALL RESPECTS. CS RESERVES THE RIGHT TO AMEND OR DISCONTINUE THE CONTEST AND THESE RULES AT ANY TIME IN ITS SOLE DISCRETION. NO PURCHASE OR PAYMENT OF ANY KIND IS NECESSARY TO ENTER OR WIN THE CONTEST. ANY PURCHASE OR PAYMENT WILL NOT INCREASE YOUR CHANCES OF WINNING. THE CONTEST IS VOID WHERE PROHIBITED OR RESTRICTED BY LAW. PLEASE SEE “RESTRICTIONS” BELOW. Objective. The objective of the Contest is to share an original photo, video, or audio clip via CS’s website (“Website”) in which you, alone and not with others, Imitate your favorite Celebrity (“Submission”). Submissions (in whole or in part, and edited or unedited) may be made available for viewing / listening by the general public at any time, and for any length of time, at CS’ sole discretion, including without limitation by those who have not registered on the Website. CS also has the right, in its sole discretion, not to make a Submission or any part thereof available for viewing / listening. “Celebrity” means a person that generally known in the U.S. as being a celebrity, such as a YouTube or television personality, movie star, singer, or artist. “Imitate” means you are acting like or modeling your favorite Celebrity, in a manner that would objectively be seen as a positive or favorable imitation intended to compliment such Celebrity. Eligibility. As of the time of your entering the Contest (“Entry Date”), you must be all of the following: (i) a natural person, (ii) resident of any of the 50 United States, District of Columbia or U.S. Territories, (iii) at least sixteen (16) years old, (iv) already registered on the Website, and (v) not a “Restricted Person”, as defined in section ‎2 below. Restricted Persons. You may not be a “Restricted Person,” defined as an officer, director, member or employee of CS or any other party associated with the development or administration of the Contest, or an immediate family member (i.e., parents, children, siblings or spouse) of any of the foregoing, or a person living in the household of any of these individuals, whether or not related. Minors. If on the Entry Date you are a “minor,” meaning that you are under the age of majority in your state, you must obtain permission from your parent or legal guardian, and your parent or legal guardian must consent to be bound by these Rules as if he or she were an entrant, before you submit a Submission. CS reserves the right to disqualify any applicant from the Contest at any time, and in its sole discretion. Contest Dates. The Contest opens at 12:01 a.m. EST on July 1, 2018 (“Start Date”), and closes on 11:59 p.m. EST on December 31, 2018 (“Deadline”). In order to be entered into the Contest, your Submission must have completed uploading onto the Website by the Deadline, or your email to contact@celebrity-scholarship.com must have been received by CS by the Deadline, all as confirmed by CS. Entering the Contest. One entry per applicant. Entry to the Contest is by uploading your Submission onto the Website, under your Website user name, or by emailing your submission to contact@celebrity-scholarship.com including your name, phone number, and Website user name. Although information that you provide may be verified, CS is not under any obligation to verify any of the information that you provide, and you hereby warrant that all information that you provide in connection with the Contest is complete and accurate. CS in its sole discretion will decide whether or not to post or not post Submissions (Imitations) onto the Website, in whole or in part, modified or not, at any time and for any length of time. CS shall bear no responsibility or liability for any action, non-action, or decision it makes in this regard. Ownership. All Submissions and Imitations shall become the sole and exclusive property of CS and will not be returned. Celebrity Scholarships may use (or not use) Submissions and Imitations for commercial and marketing purposes, in whole or in part, modified or not, in its sole discretion. Criteria for Winning. All Submissions in compliance with all terms and conditions of these Rules will be judged by the Judges on the basis of the following criteria: 25% originality, 25% creativity, 50% quality of imitation and presentation (“Criteria”). CS will establish a panel of two or more CS personnel to be judges for the Contest (each, a “Judge”). In the event that a Judge is unavailable for any reason, CS reserves the right to use a substitute Judge, or else to select the Winner using a single Judge, as decided by CS in its sole discretion. In choosing a winner of the Contest (“Winner”), the Judges will assign each Submission a score based on the Criteria. The Contest is skill-based and not based on chance. The standards applied during the judging process focuses on assessing each entry’s properties. By the mere submission of an entry, an entrant acquires no automatic right to be awarded a prize, nor any other right. In the event of a tie between two or more of the highest-ranking Submissions, there will be more than one Winner announced, and the Prize will be divided equally amongst all of the Winners. The Judges shall have the right to disqualify any Submission not in compliance with these Rules. In the event that a winning Submission is disqualified, and such disqualified Winning Submission is not tied with one or more other winning Submissions, then the next-highest scoring Submission will be selected as the alternate Winner. Otherwise, not substitute Submission will be selected in place of the disqualified Submission. Prize. Winner will be eligible to win a prize of $500 (or portion thereof, in the event that there is more than one Winner) (“Prize”). Winner will be notified by e-mail within approximately five (5) days of selection. In the event that CS is unable to contact Winner, using the contact information provided by Winner, then such winner will be deemed to have been disqualified, and the provisions of Section ‎4 shall apply. Winner (and, if a Winner is a minor, Winner’s parent or legal guardian) may be required to sign a Winner’s Declaration and Release which includes a declaration of eligibility, grant of publicity rights and a liability release, to the extent not prohibited by law, prior to receipt of a Prize. The Prize will be awarded to by check, wire transfer, or paypal, in CS’ sole discretion. Winner may be required to provide CS with a taxpayer identification number, or other identification or account number (if applicable). Winner also may be required to provide CS with proof of Originality of the Submission or any other requirements for eligibility. Publicity Release. You irrevocably and in perpetuity grant to CS, those acting under CS’ authority, as well as any third party sponsor or co-sponsor of a contest, the unrestricted, absolute, perpetual, worldwide right and license to use your Submission, Imitation, name, address, photograph, likeness, voice, biographical and personal information, statements, and any photograph, film, video, audio recording or other recording taken of you or submitted by you (all of the foregoing, collectively “Promotional Content”), and all in connection with marketing purposes; and to reproduce, copy, modify, create derivative works of, display, perform, exhibit, distribute, transmit or broadcast, publicly or otherwise, or otherwise use and permit to be used, the Promotional Content or any part thereof, whether alone or in combination with other materials (including but not limited to text, data, images, photographs, illustrations, and graphics, video or audio segments of any nature), in any media whatsoever, in connection with such marketing purposes; and all the foregoing without any compensation, royalties, remuneration or consideration to yourself or to any third party, and you hereby waive all claims to compensation, royalties, remuneration, consideration, notice or permission in connection therewith. Release and Discharge. You hereby release and discharge Celebrity Scholarships, its affiliates, officers, directors, employees, representatives and agents, from any and all claims you might have in connection with Celebrity Scholarships’ use, display, dissemination or exploitation of Promotional Content, including, but not limited to, any claims for defamation, violation of any moral or artist rights, violation of any right of privacy or publicity, any copyright infringement, or any other cause of action arising out of the use, adaptation, reproduction, distribution, broadcast or exhibition of Promotional Content. Taxes. All taxes, costs and expenses associated with the receipt and/or use of the Prize shall be the sole and exclusive responsibility of the Winner, and Winner shall report the value of any Prize for tax purposes as required by law. Without derogating from the generality of the foregoing, Winner shall provide CS with a completed Form W-9 with valid identification, with a valid taxpayer identification number or social security number before the Prize will be awarded. If Winner wins over $600.00 in Prizes which are paid directly to Winner rather than being sent directly to the School or paid into a 529 plan, then Winner will file a Form 1099 at the end of the relevant calendar year with the IRS. Assumption of Risk. By taking any action to enter the Contest, you hereby acknowledge and agree that: (a) YOU HAVE SOLE RESPONSIBILITY FOR THE CREATION OF YOUR SUBMISSION/IMITATION, WHICH IS DESIGNED AND CREATED BY YOU FOLLOWING YOUR OWN DECISION AND INITIATIVE DEPENDING ON THE WAY, IN YOUR SOLE DISCRETION YOU DECIDE TO CREATE SUCH SUBMISSION/IMITATION, AND EVEN THOUGH THE CONTEST DOES NOT REQUIRE OR OTHERWISE ENCOURAGE DANGEROUS BEHAVIOUR, THERE MAY BE DANGER OR RISK OF BODILY INJURY, DEATH, OR PROPERTY DAMAGE INVOLVED IN CREATING AN SUBMISSION/IMITATION OR ENTERING THE CONTEST; (b) THESE RISKS AND DANGERS MAY ARISE FROM FORESEEABLE OR UNFORESEEABLE CAUSES; (c) YOU HEREBY ASSUME ALL RISK AND RESPONSIBILITY FOR ANY PERSONAL INJURY, DEATH, PROPERTY DAMAGE, OR OTHER LOSS ARISING OUT OF THE CREATION OF ANY SUBMISSION/IMITATION OR ENTRY INTO THE CONTEST, WHETHER CAUSED BY NEGLIGENCE OR ANY OTHER CAUSE; AND (D) SUBJECT TO APPLICABLE LAW, YOU HEREBY RELINQUISH ANY AND ALL RIGHTS YOU MAY NOW HAVE OR MAY HAVE IN THE FUTURE TO SUE OR TAKE ANY OTHER ACTION AGAINST CS AND ITS AFFILIATES, OFFICERS, DIRECTORS, EMPLOYEES, AGENTS, AND REPRESENTATIVES (“CS PARTIES“) ON THE BASIS OF ANY INJURY, DEATH, DAMAGE, OR OTHER LOSS THAT MAY BE SUFFERED ARISING FROM ANY ACTION TAKEN IN THE CREATION OF ANY SUBMISSION/IMITATION OR ENTRY INTO THE CONTEST, INCLUDING BUT NOT LIMITED TO CLAIMS BASED ON ALLEGATIONS OF NEGLIGENCE BY ANY OF CS PARTIES OR USE OF ANY MACHINERY OR MATERIALS. WITHOUT LIMITATION, CS PARTIES SHALL HAVE NO LIABILITY TO ANY ENTRANT OR ANY OTHER PERSON IN THE EVENT THE SUBMISSION/IMITATION OR ANY ACTS OR OMISSIONS OF YOU VIOLATES ANY OF THESE RULES. Applicable Law and Jurisdiction. The Contest is subject to all applicable laws and regulations. Disputes concerning the construction, validity, interpretation or enforceability of these Contest Rules shall be governed by the state laws of the State of California, without application of its conflict of laws principles. Restrictions: Non-Transferability, Right to Cancel, Suspend, or Modify. Prizes are non-transferable and must be accepted as awarded. CS reserves the right to cancel, suspend, or modify the Contest for any legal, commercial, technical or other event, and all in CS’s sole discretion. Winner List. Names of Winners will be posted on CS’s Winners Page. You may request a Winners’ list by sending a stamped, self-addressed envelope six (6) months of the Deadline to: Scholarship Application Services LLC 420 Veneto, Irvine, CA 92614or contact@celebrity-scholarship.com. If any part of these Rules is held by a court of competent jurisdiction to be invalid, illegal, or otherwise unenforceable, such part will be modified by such court to the minimum extent necessary to make it enforceable while preserving to the maximum extent possible the original intent of and the remaining parts of these Rules will remain in full force and effect. Sponsor. This promotion is sponsored solely by CS. CS can be reached at contact@celebrity-scholarship.com, or at Scholarship Application Services LLC 420 Veneto, Irvine, CA 92614.